MPR Hiring offers marquee tents for hire that are durable, aesthetically pleasing and easily assembled by our competent staff. 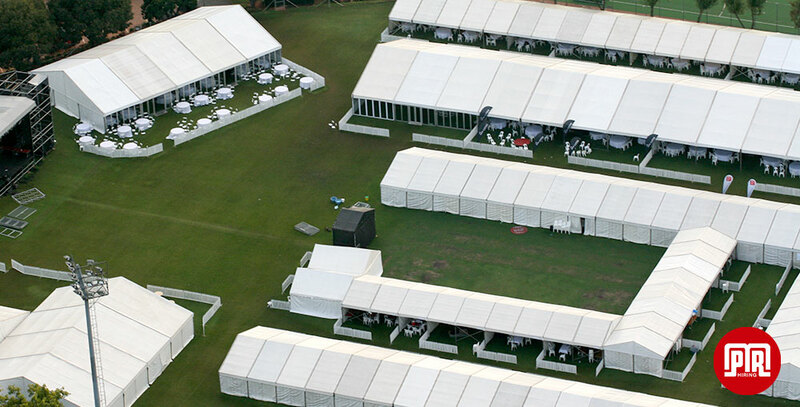 We offer 2 basic kinds of tents/marquees for hire – and a superb range of seating and catering equipment. Peg and pole marquee tents, designed for erection on soft surfaces like grass or earth, are available in widths of 6m, 9m, 12m, 15m and 21m. Having selected the appropriate width these structures can be built to any required length. A hard wood interlocking floor may also be added so as to ensure adequate water drainage and to give the overall feeling of a more permanent structure. This prevents delicate table and chair legs and ladies stiletto heels from sinking into the ground. MPR Hiring aluminium frame marquees are available in widths of 3m, 6m, 9m, 10m, 12m, 15m, 20m and 25m. This type of tent can also be lengthened in the same way as the peg and pole marquee tents. You choose a width and the length can be adapted to suit your on-site requirements. 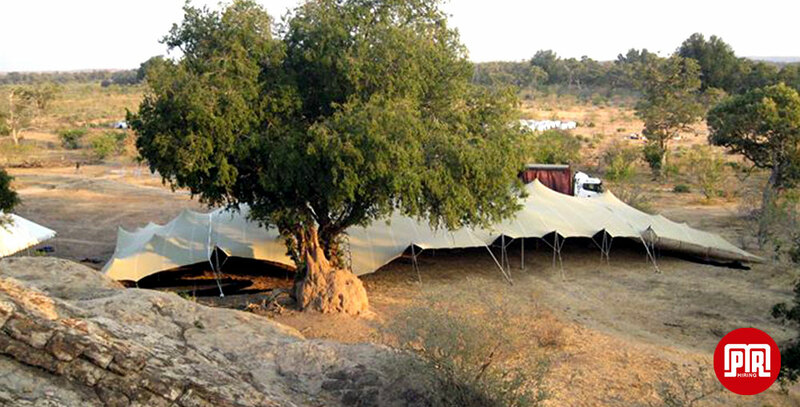 The flexible nature of this design allows for different shapes of tent to be erected. The aluminium ‘clearspan’ structures can be adapted and added to in order to cover even awkward spaces with high quality tenting. 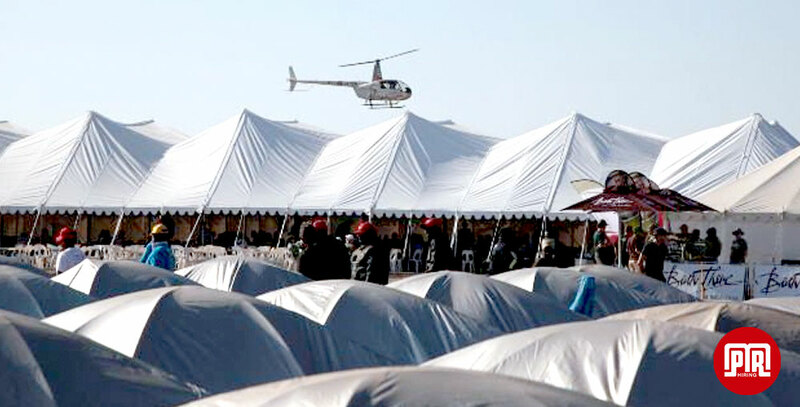 These tents can be erected on surfaces that are too hard to accept pegs since they are anchored with weight (this protects your surface making it possible to put up a marquee tent over a tennis court, tarred parking area or other similar place where the ground has to remain undamaged. MPR event tents and marquees can include entrance halls and ante chambers and a place for dignitaries to wait in comfort before entering the main event area. 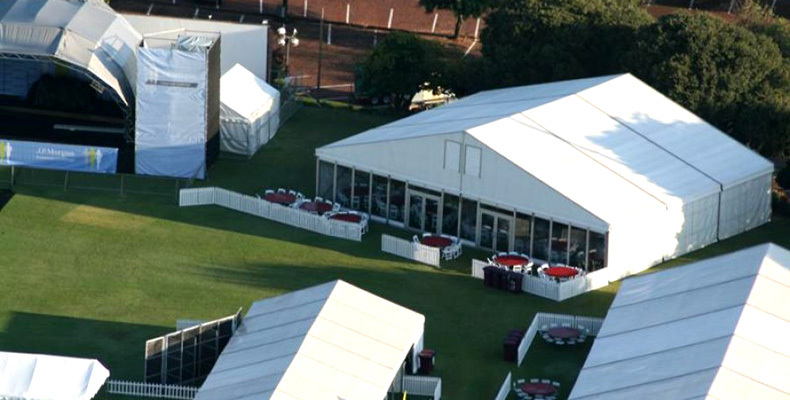 All in all, MPR Hiring offers the most comprehensive marquee tents, seating and catering equipment hire service in Africa. Whether you need a more modest set up or are looking for a hiring company to help you stage the event of the year, MPR Hiring is there for you.